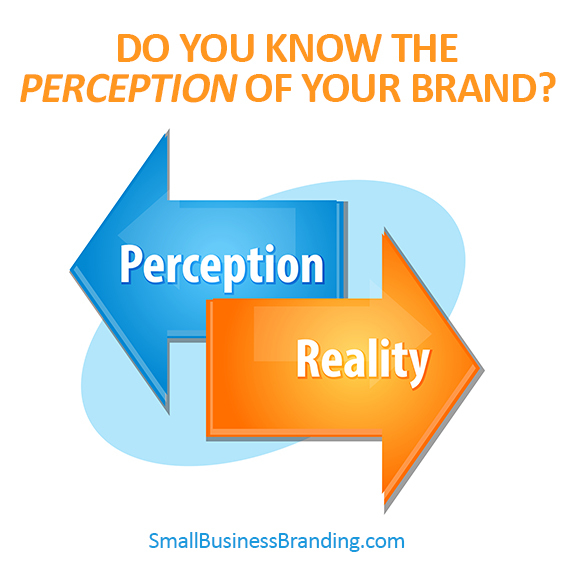 Do You Know The Perception of Your Brand? If reputation is the word that could replace brand in a conversation between yourself and your customer, why is it that most small businesses don’t get branding right? From my experience, it hinges on information fed to them by the graphic design industry – that branding is all about changing your visual image. A rebrand to these people is changing your logo and marketing materials. Brand is so much more than that. Your visual image is definite a part of your brand. It is the face of your brand. It’s probably the public’s first exposure to it. And because everyone has a brand whether they desire one or not, a lot of factors determines that brand or “reputation” in the marketplace. Perception is a major trait that customer rely on to help them determine what to purchase. Their perception of your brand determines whether they can trust you, how they judge your value, it even validates (or not) your expertise. That perception they hold so close doesn’t necessarily have to be true. Remember – it’s THEIR perception based on a reputation they have built in their consciences over time. Recently Chevy ran a commercial, where they showed a focus group of “real people” not actors and had them choose car logos based on certain attribute. For instance, when asked which brand was safest, most people chose high-end luxury brands. Of course, the questions were skewed in that the answer for any positive attribute was Chevy. What should be alarming to Chevy though was that most people did NOT choose Chevy first. Their perception was something else. Changing negative perceptions is time consuming and expensive. Chevy took a chance with this commercial. They got their point across, but if the commercial viewer took it one step further and asked WHY didn’t we choose Chevy first, this is where the branding problems rise to the surface. What in their brand (reputation) is holding them back? While all the right answers to the questions were Chevy, other, higher-valued brands owned those positions. Does your small business brand own positions you know to be true or are they owned by your competition? What are you doing to correct these perceptions and reclaim that reputation? If your answer is “a flashy logo and pithy slogan” then my guess is you’re going to be playing catchup for a long time. Get used to someone else owning your position! If you own a business then you should be engaged in what the marketing savy call in-bound marketing. That in layman’s terms is drawing customers in to you. The major part of my marketing is exactly this strategy. What I am doing here (writing this post) is exactly that. Generating valuable content that provides value to a potential lead that helps to build your brand and goes a long way to establishing you as a thought leader. In-bound marketing is definitely a long-term strategy but one (I think) is more valuable. It is also more genuine. 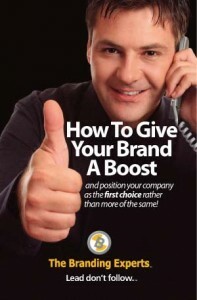 Out-bound marketing pushes your message out to businesses and relays on them paying attention. Most times in lands in front of them when they’re least likely to buy. In-bound draws in people who are LOOKING to buy. A good example is appliance stores sending you a flyer in the mail. We all call this junk mail and unnecessary UNTIL our microwave breaks and we need a new one. Then we are a motivated buyer. But that hated flyer is long gone – tossed out with the recycling. As that appliance store, all that blogging, updating your Facebook business page, introducing new appliances on Pinterest, wisdom on Twitter, educating in YouTube with videos and email marketing to name a few come into play. Your customer with the broken microwave jumps all over Google. Even if you’ve never given any thought to SEO (search engine optimization), the fact that you’ve provided great free content on all the mentioned social channels makes your business the love child of Google. 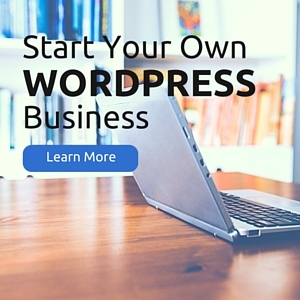 There’s a strong chance that you’ll pop up on the first page in a search. If you’ve ever wondered what the payoff to all that effort building content was, Google is it. Even though you know your listening audience is super small, this is the payoff – search results. That’s the huge benefit of in-bound marketing. They search with a need and discover you. They learn that you are a thought leader and want to learn more. Warm lead. Engage them and put a new microwave in their trunk. Your brand is this – your brand is that. Some would have you believe that your brand is this OR that. The fact is your brand is everything. I enjoy speaking with businesses on branding and helping them to understand the what their focus should be in branding. It is almost without exception that business people assume that a brand doesn’t extend much beyond the visual elements. 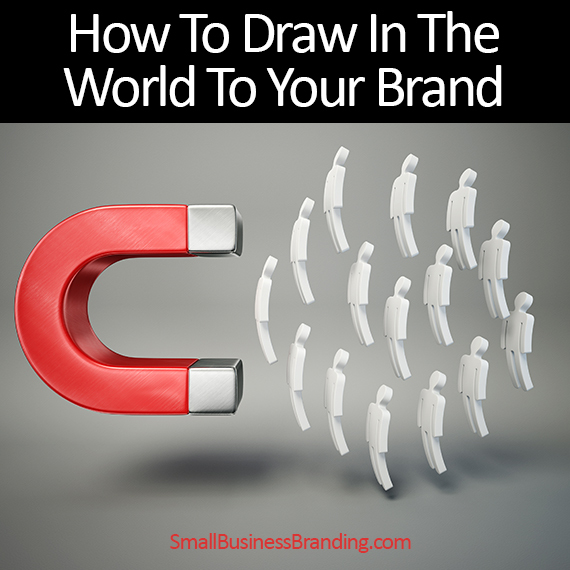 Most think your brand is your logo and marketing materials. When you think of it, that’s a lot of pretty heavy lifting for something visual. 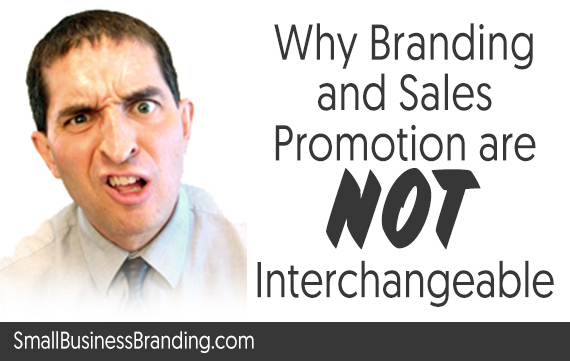 If that perception were true, brand problems would be a cinch to resolve – just change your image. Don’t like that soft drink – change the logo. Do you think it will taste better? Not likely. I’m guessing you’re going to have to tweak the recipe to lure you to buy. Sales are flat? Maybe the problem goes way beyond a tired logo. Perhaps the sales staff have aged to the point that they’re not hungry anymore. Maybe your business culture has deficiencies. But chances are strong that it’s a little of everything. 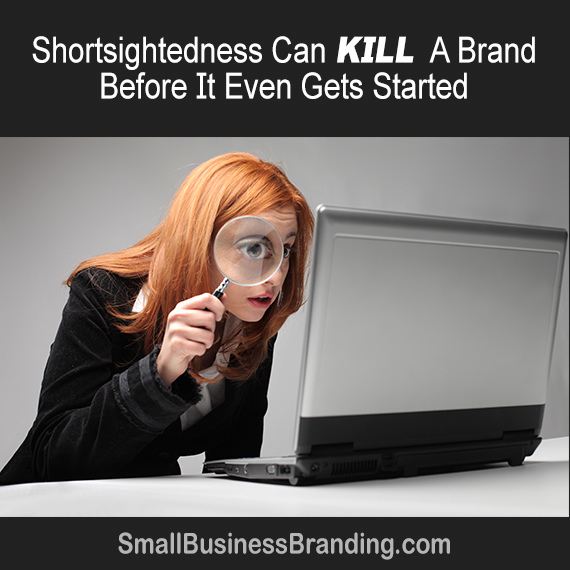 You’ll discover (if you’re brave enough to look) is that slowing sales is a symptom of an overall slowing of the brand. As Auston Powers might say, “You’ve lost your mojo!” And in the marketplace your mojo is your brand. A re-brand if handled properly is absolutely more strategic than visual. But both are joined at the hip. The strategic side involves all experiences of your stakeholders. Those experiences are those that exist on line and off-line. From the way reception answers the phone to how an employee might talk about the company at a church picnic. Stupid things said on social media has in numerous cases taught business brands to react publicly where in the past it was handled behind closed doors and often ignored. Today you can’t ignore anything. 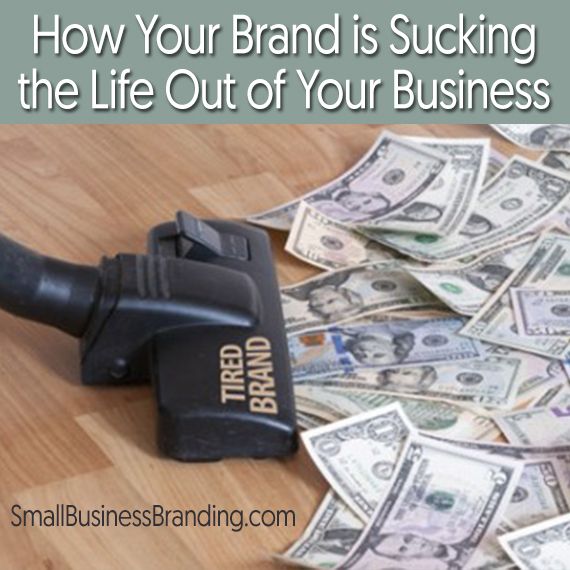 Everything affects your brand. The solution to a happy brand is to get your brand strategy in shape, then tie it all together with relevant visuals that represent your brand values and personality. This essentially boils down to defining your brand and reaping the rewards company-wide. Companies that do this right go on to raise the bar in their industries. They are the companies that inspire others to emulate them. They are the leaders. Of course it’s not for everyone. You have to be bold and willing to believe in what makes your brand great. Steve Jobs had it when he said that Apple had to develop products that were – “insanely great.” Most companies are followers. Followers embrace price over value. Followers copy smart brands. Followers allow the marketplace to define them. Followers never reach their potential or attract top talent. And followers think that their brand is their logo. If it were only that easy. If you’re out there selling something – stop it right now! Stop selling and start branding. Your brand has a story to tell. Educate your buyer so they have all the knowledge they need to make an intelligent decision. If you start selling, they’ll just roll their eyes and try to get away from you. They won’t trust you. Find out where their anxiety lies, and show them a way out with knowledge. Encourage them to compare. You’re approach will be refreshing to what they see. I take myself as an example. I position myself as the branding expert. I have an 8 page brochure that educate’s my customer on “How to give their brand a boost.” The whole point is to help them position their company as the first choice (of their buyer) rather than just more of the same. You often hear that people don’t like to read much anymore. It’s not that they don’t like to read, it’s more that they don’t like to read copy that benefits you more than them. Give them information that makes you the first choice. You have to show your confidence and give away information that empowers your buyer. Branding as an empowering tool draws to you customers who also value knowledge. It drives away buyers who fixate on price alone. These are not the customers you can grow on. You’ve heard of “price wars,” well this is a battle that only deep pockets can win. If that isn’t you, then it’s time to change the game to one of an intelligence strategy. Don’t concern yourself if the competition starts to copy your model. That means they have their eyes off the ball and squarely on what ever it is you’re doing. You can’t control them, so keep your brand out front. Their ignorance can only help you.